Hire Xamarin Developers from Nimap on contract (time/project) basis to build native mobile applications for iOS and Android platforms providing more better features. Hire Xamarin app programmers from Nimap to provide a unique way to build your native iOS and Android applications. Hire Xamarin developers who have in-depth hands-on Xamarin codes and commands to simplify your work. It saves time implementing easy language. Xamarin open code source format helps you easily share your apps across various platforms. Xamarin allows you to develop application quickly and fastly. Apps built with Xamarin uses both C# and .NET libraries to make your Xamarin app highly customizable, interactive and responsive applications. Our developer makes sure the client requirement is met. We provide you Xamarin mobile app development services to develop multi-platform apps. Xamarin allows building separate multiple apps to create a single app possessing all features saving time and money. We promise to increase your success graph in a very healthy and budget-friendly way. Our expert hired developer deliver project within 48 hrs. We make sure our clients requirement get fulfilled and they keep coming back. Hiring permanent employee will let your project cost increase such as holiday pay, sickness benefits or other fringe benefits. We provide guaranteed quality work that made our customers to reach us again and again. Nimap tries to reach with your product deployment within 24 hours to provide you with the fastest delivery service. Hiring Xamarin developers from Nimap help to add convergence of efficiency, functionality. Responsive UI/UX, app performance optimization and sheer excellence to your applications. You can hire our developers at your workplace on a timely basis according to your business requirements. If you’re assured of your project and wants specific implementation go for our fixed Price Work. Nimap developers will assist you on specific domain. Helps you in their best ways to turn your ideas into real running applications as per client’s budget. We are versatile enough to settle the way of working and payment methods, we can divide it on monthly basis instead of doing all payment at the single go. Running your business up to date in today’s date requires talent and finding one such talented employee is not an easy task. Nimap IT outsourcing solutions are ready to hand over our talented and hardworking employees to work for you on a timely basis to deliver the best of resulted apps you thought of. Nimap also allows their clients to hire our dedicated developers for full-time. We train our developers skillfully in order to demonstrate outstanding result We share experienced Xamarin developers to work for your firm who has been rated 4.5 / 5.0 by 150 Clients.  Why Hire Dedicated Developers from Nimap Infotech? Our Developers will prepare reports as per requirement about their tasks. Hire developers after scheduling interview and choose as per your requirement. Our quotation are tailored quotation as per the client requirements. Apple ARKit is a platform allowing augmented reality in iOS and mainly use for facial tracking and world track. Google ARCore is a software development platform allows the developer to integrate augmented reality experience. Facebook AR Studio enables the user to develop an augmented reality effect on camera. Snapchat Lens Studio allows creating Snapchat Lenses with the real-time tool. It allows 3D professionals to create both Face Lenses. Amazon Sumerian introduced by Amazon in response to the competitiveness of AR technology wide-spreading around. Sumerian allows the creator to contribute with AR model. Kudan. AR SDK platform which allows developers to build AR based applications supporting marker and markerless tracking. Nimap`s clients and their results are the best proof that our methodologies work. But we’ve also received numerous awards and praise from the media and our peers. Using their outsourcing service they offer you a long list of professionals that are eager to work with you. I hired a developer from Nimap only once but my experience was so good that if in future I have any work I will definitely approach them. I wanted to design a new website for my business but I was very doubtful to share my company’s data. Then I met Sagar and he introduced me to his web developer who was equally kind and gentle. They assured me about all the security norms and designed my website in a very effective manner. I hired a UI/UX developer to code and design for my business website. Earlier I was very doubtful whether they will be able to understand what I require and get me the desired output or not. But after meeting their developer I was happy with my choice. Being updated with the latest knowledge they themselves suggested many solutions for designing the page. And the result produced was so attractive and responsive that later we received great output from that. Nimap is a collective team of IT developers who are well trained and certified for coding all kinds of codes. Their amazing team members can code and design any app as per your requirement. Nimap provides you extremely productive and helpful services to understand and increase your business. They offer you loads of choice to design your app into various different techniques and ways. It's been great working with their team members. 1. What are step to hire Xamarin developer? In Nimap , we allow you to have a thorough interview process and hire the dedicated developer of your choices. 2. Why Hire Dedicated Xamarin developer? 3. How can I monitor and analyse developer performances? Client can get daily performance report of an developer on weekly/monthly or quarterly basis. We track our developer performances on regular basis. 4. Can I hire Developers for permanent? Yes, as per the requirement one can hire developer for permanent basis. Nimap also offers onshore developer and offshore developer as per the requirements. 5. What are the steps to hire developers from Nimap? 6. What kind of supports I can expect from Nimap? Nimap appoint dedicated project manager to monitor developers and to be a point of contact for any requirements. 7. Do you offer marketing services? Yes, In Nimap we also provide Marketing service as per requirement such as SEO, Social media Marketing, Adwords, PPC campaign, Lead generation campaigns, media buying and planning etc. Copyright © 2019 Nimap Infotech. All Rights Reserved.